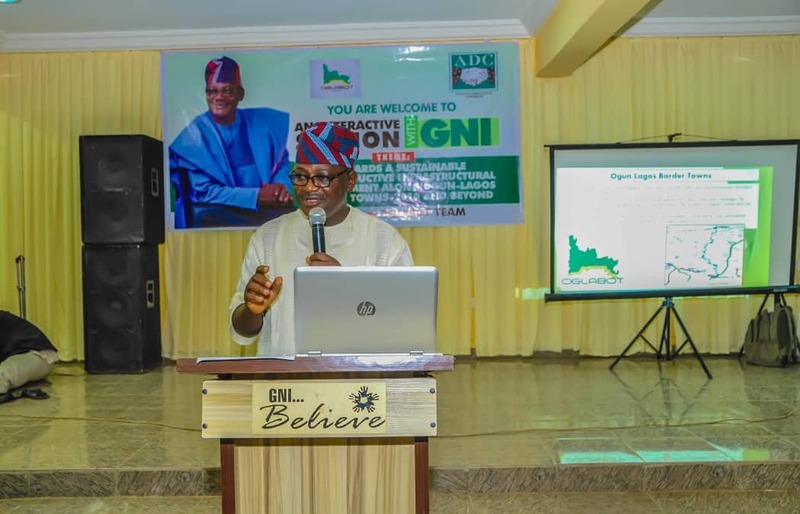 Prince Gboyega Nasir Isiaka, popularly called GNI, Ogun State governorship aspirant on the platform of African Democratic Congress (ADC) has reiterated his commitment to the development of border towns, especially along Lagos Corridor if elected in the forthcoming 2019 general election. 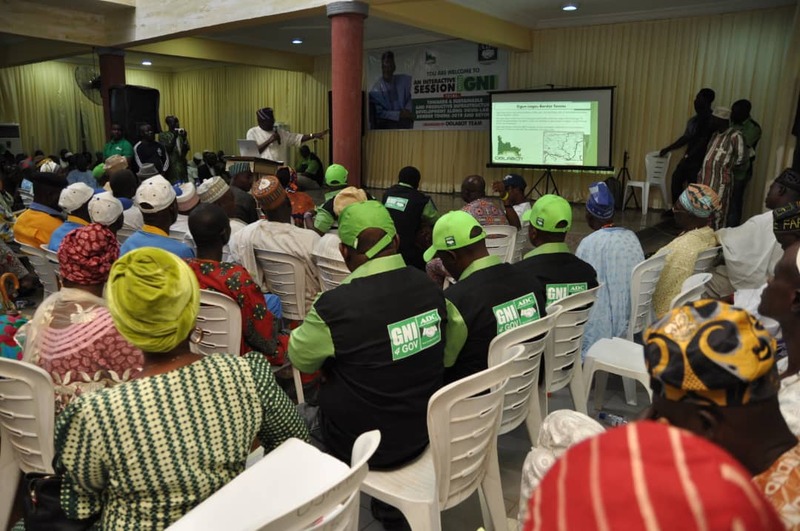 The governorship hopeful made the declaration in Oke Aro , Ifo Consistuency 11 during the second edition of an interactive session organized last weekend by member of Ogun-Lagos Border Towns(OGLABOT) Team, where he was the guest speaker. The second edition of the event is coming on the heel of the successful hosting of the maiden edition held on 26 August 2018 for residents of Obafemi Owode constituency in Magbro . 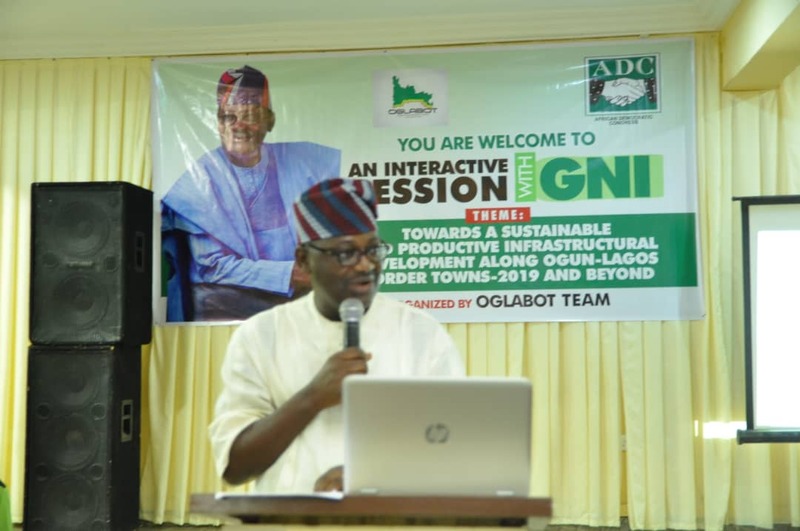 According to OGLABOT Team spokes person, Engineer Deji Olatunya , “The series was initiated for all stakeholders along the Ogun-Lagos border towns and its environs to have better interaction with GNI towards a Sustainable and Productive Infrastructural Development in their areas. 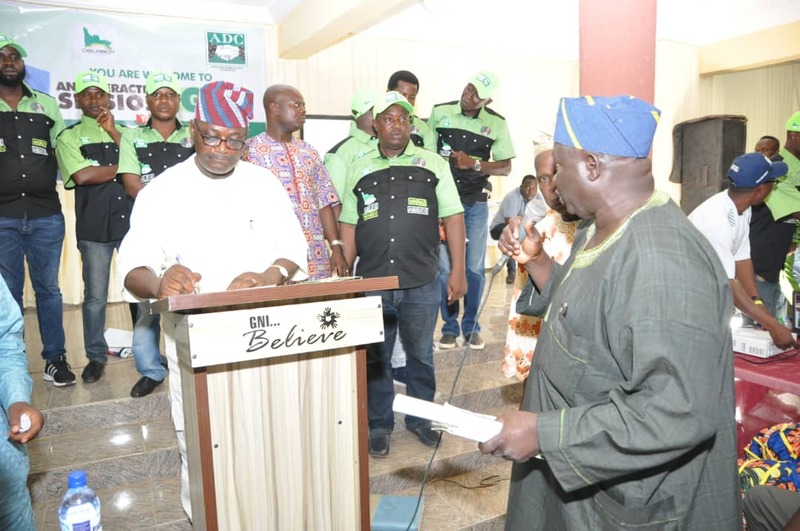 He further assures residents and business communities around border corridors that he will leave no stone unturned for a better development and infrastructural renewal of Ogun-Lagos border towns. If Our People Insist, We Will Go Back To PDP – Gov. Ahmed Kwara. PDP Convention: Sheriff Says ” Decisions At Port Harcourt Is Null”. BoT, Governors, Sheriff, Makarfi Set To Resolve PDP Crisis Today.